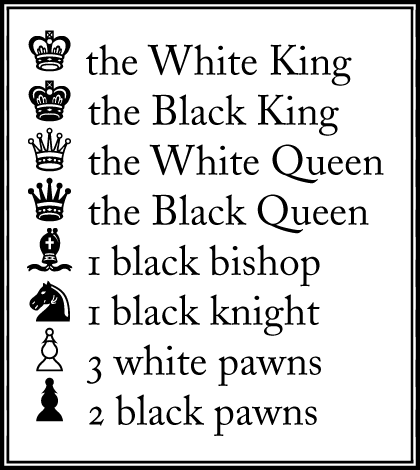 The chess game played between Edmund Percy and Mariah Esquith de Foye in act 3 of Edmund Persuader proceeds as follows. 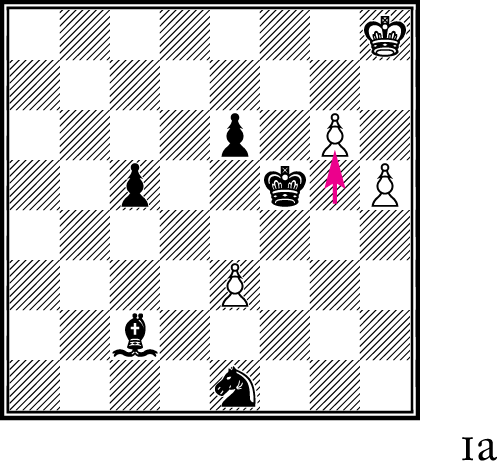 The narrative has been heavily abbreviated here. 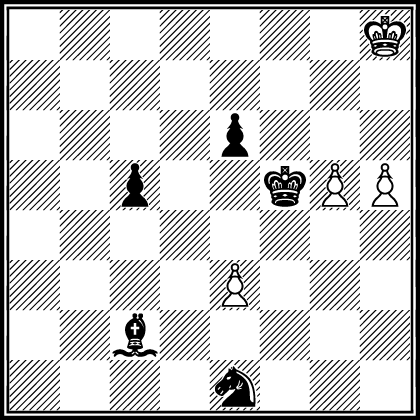 Some knowledge of chess is required; for example, the various movement capabilities of king, queen, bishop, knight, and pawn. 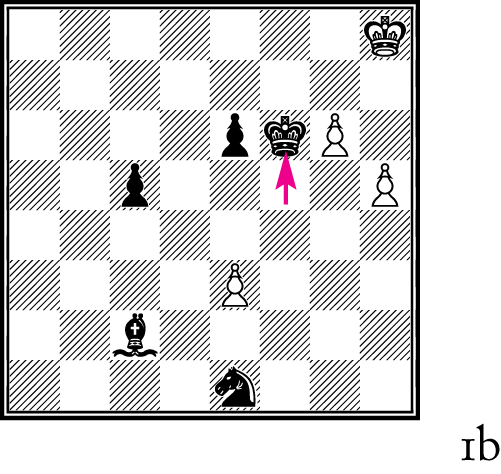 Edmund began to play by moving “a pawn forward from the fifth rank to the sixth” (figure 1a). 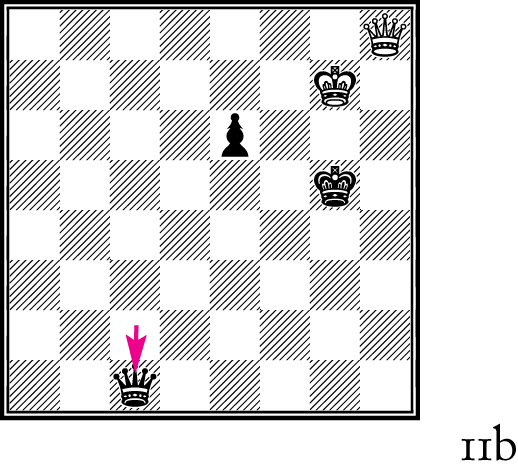 Miss de Foye “responded instantly by moving her king alongside the pawn” (figure 1b). 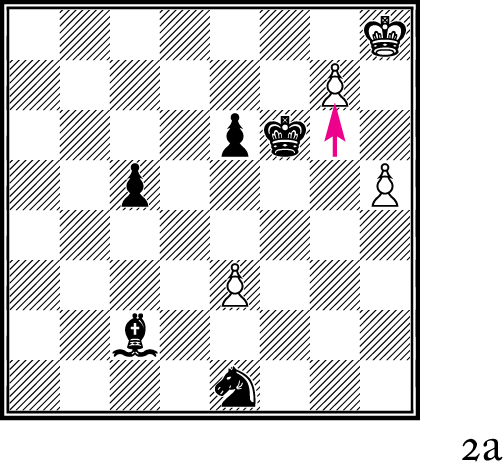 “Edmund advanced his pawn yet again” (figure 2a).  Miss de Foye “instantly . 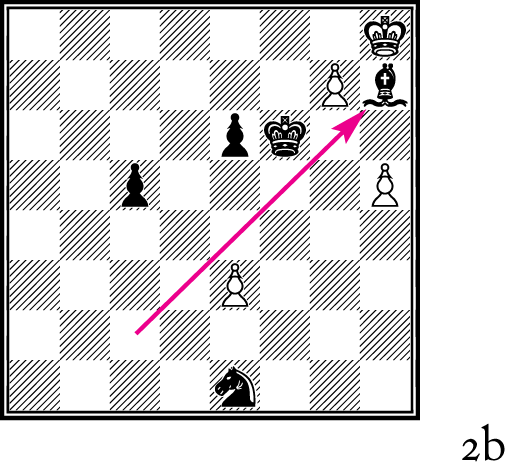 . . swept her bishop from the far side of the board to stand before the king” (figure 2b). 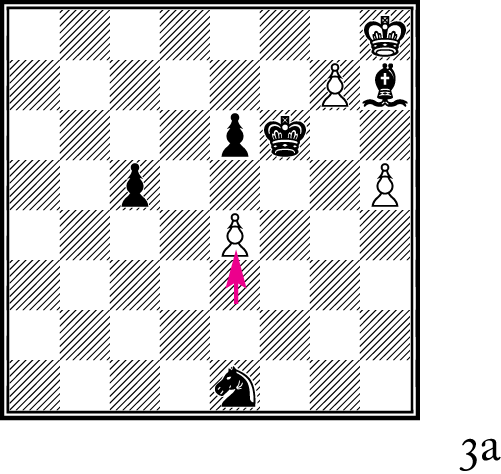 “He moved his third pawn forward to the fourth rank” (figure 3a). 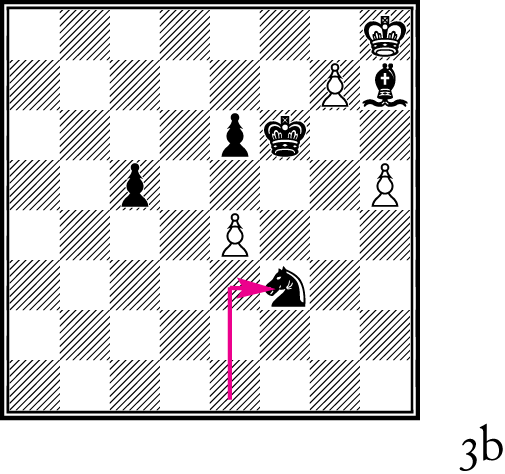 “She brought her knight to the third rank, in the square adjacent to the threatening pawn” (figure 3b). 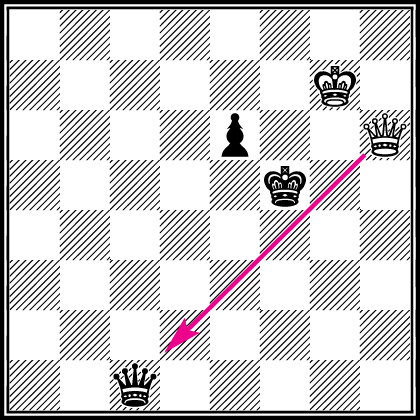 “He again moved the pawn, placing her king in check” (figure 4a). “Without hesitation she captured the pawn with her knight” (figure 4b). 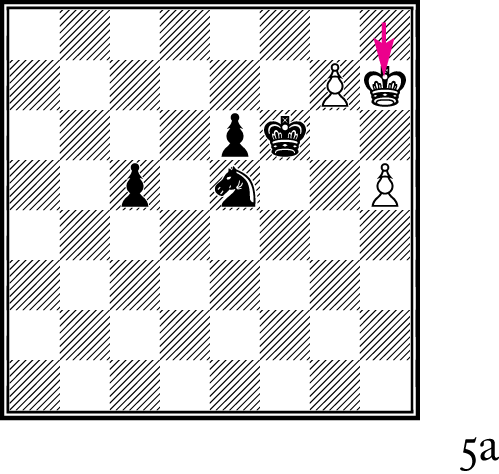 “Now he used his king to take her bishop” (figure 5a). “”She brought her knight back to its former position, out of the fray” (figure 5b). “He moved his pawn to the last row and exchanged it for a queen” (figure 6a). “She repositioned her knight on the fifth rank, putting his king in check” (figure 6b). “He captured the knight at once, momentarily placing her king in check” (figure 7a). “She . 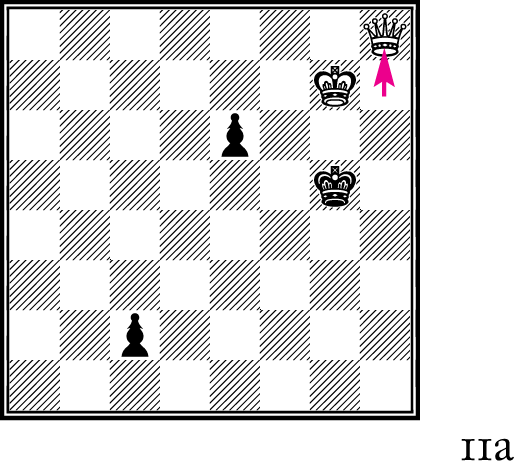 . . took his queen with her king” (figure 7b). 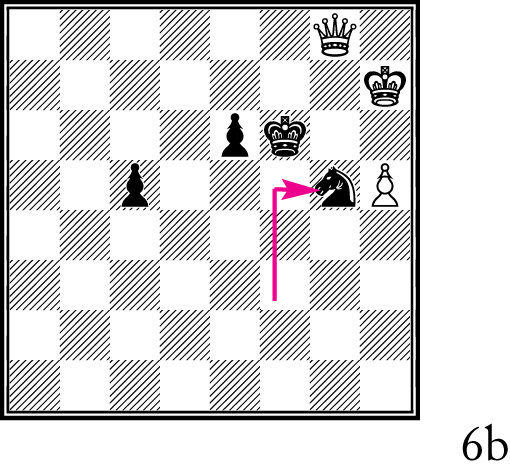 “He moved his last remaining pawn to the sixth row, into the protection of the king” (figure 8a). “Then they began a race to promote their pawns. 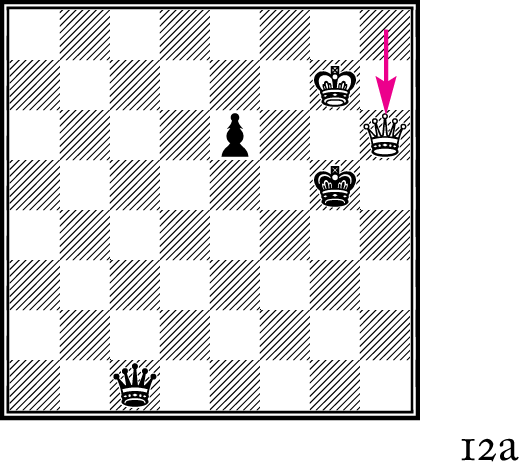 He still had to clear the file by moving his king out of the way, but his pawn was closer to the final row than was hers, and . 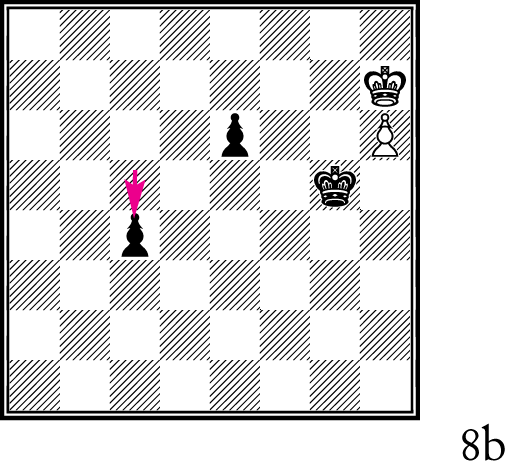 . . he gained a queen first” (figures 8b through 11a). 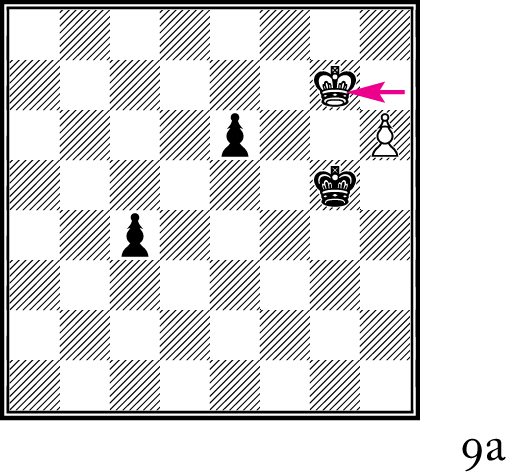 “On her very next move, she too advanced her pawn to its own final row and made it a queen” (figure 11b). 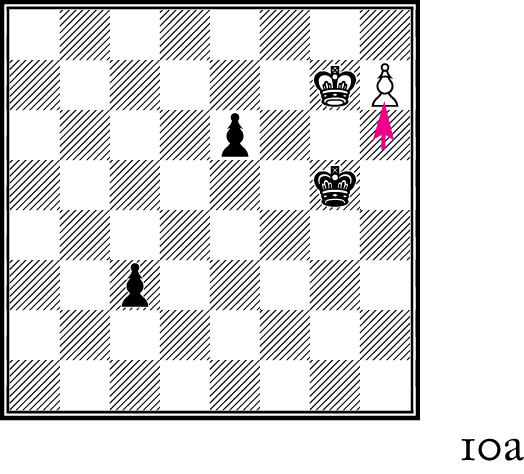 “He moved his queen to the sixth rank of the last file. 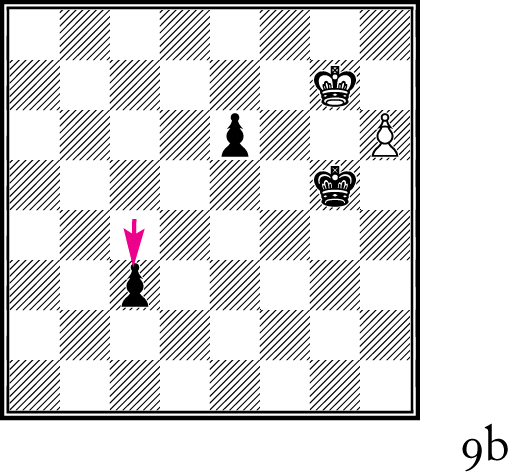 ‘Check,’ he said” (figure 12a). “It was a skewer. 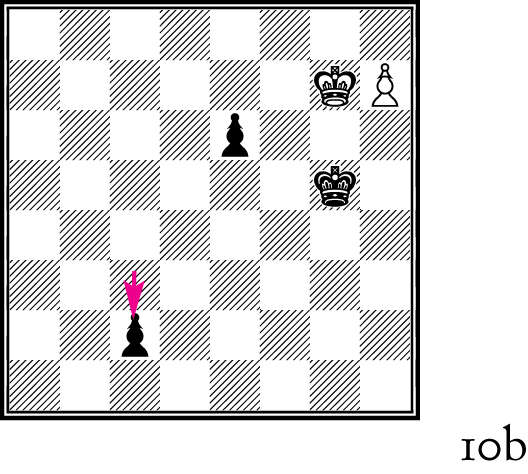 She must move the king out of check; but when she did so Edmund’s queen would take her own. They both knew it would be child’s play for him to win after that” (see the hypothetical move shown below).